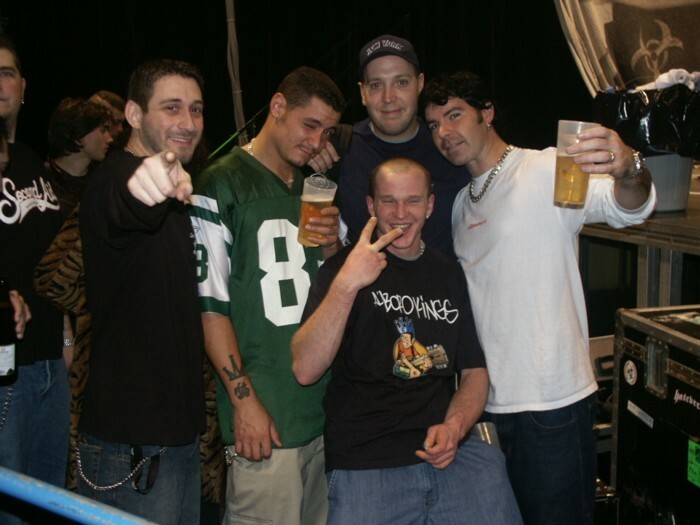 This fansite is the best source of for anything related to the All Boro Kings the sideproject ft. (ex-) members from Dog Eat Dog such as Dave Neabore, Dan Nastasi and Sean Kilkenny. Read the short biography or use the ABK musicplayer to listen to the full album and a bonus song! If you came here through the offical Dog Eat Dog fansite click here to go back there. The whole story of ABK all starts about 12 years ago. 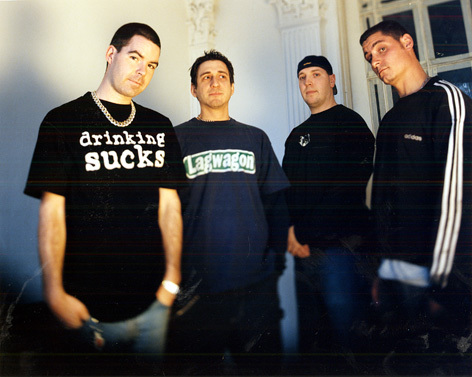 John Connor, Dave Neabore, Sean Kilkenny, Dan Nastasi and Dave Maltby, who worked together in a band called Dog Eat Dog, recorded an album called All Boro Kings back in 1994. 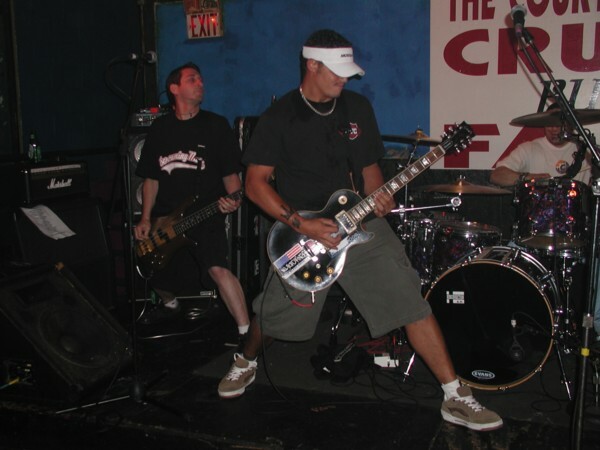 Dave Neabore, Sean Kilkenny and Dan Nastasi already knew each other before forming Dog Eat Dog, having all played in a crossover band called Mucky Pup. With hits like No Fronts and Who's the King? the album was a great succes. Shortly after the release of the ABK album Dan Nastasi decided to leave Dog Eat Dog because he wanted to spend more time with his family. 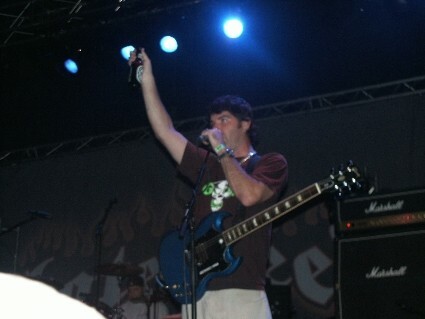 Many years past and Dave Neabore and Sean Kilkenny kept on recording music and playing loads of shows with Dog Eat Dog and Dan Nastasi recorded two full albums with his own band Nastasee. 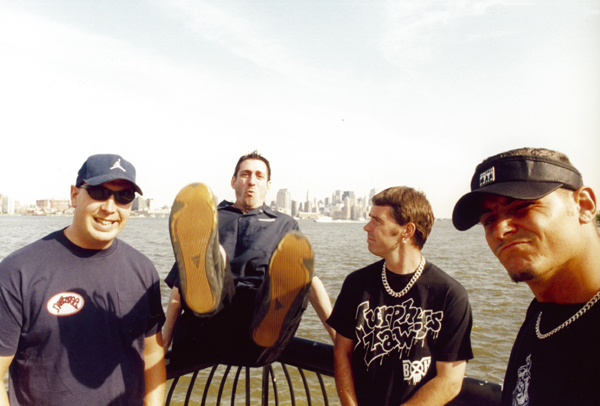 Then in 2001 Dave and Sean were approached by producer Tim Gilles with the request to supply some new songs for the compilation cd New York's Hardest vol. 3. 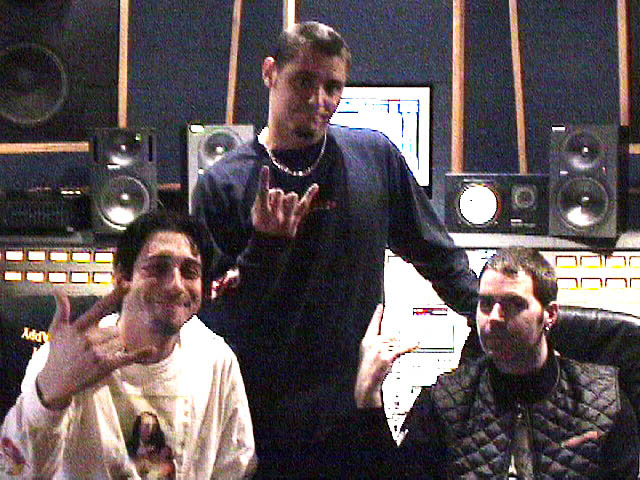 Dave and Sean quickly decided to get back together with Dan Nastasi to record some new songs in the tradition of the ABK album. The guys found a great drummer in longtime friend John Milnes, who had previously played in Mucky Pup. Together they wrote and recorded two songs called Just for the fun of it and It's going world which was later renamed to King of the world. Since they had so much fun recording new music together Dan, Dave, Sean and John decided to record a full length album together. The new band still needed a name and since the link to the first Dog Eat Dog album was so strong the guys decided to name the new band the All Boro Kings. 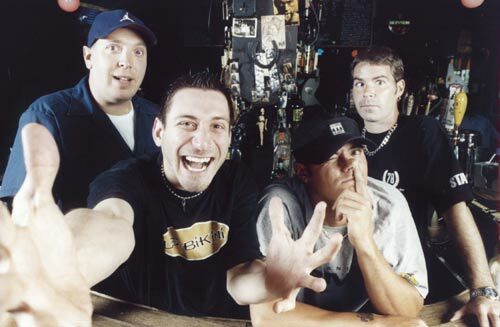 Recording the album went quickly and in 2002 ABK released their first and only album on Century Media Records. 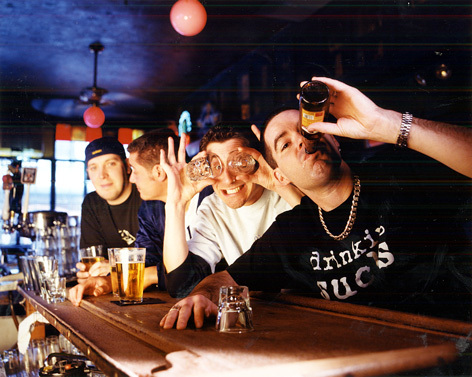 Since Dog Eat Dog's fanbase was mainly concentrated in Europe the recordcompany decided to release the album in Europe only. The new album was named Just for the fun of it because of the fun the band had while recording it. 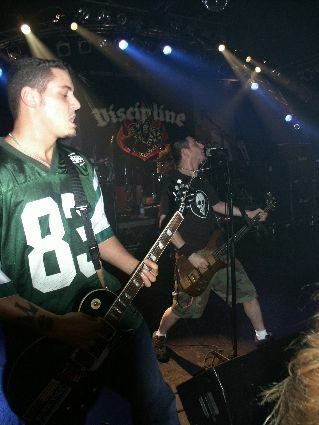 It featured 12 songs and included guestperformances by John Connor (from Dog Eat Dog), Scott Mueller (former Dog Eat Dog member) and Jimmy Gestapo (from Murphy's Law). 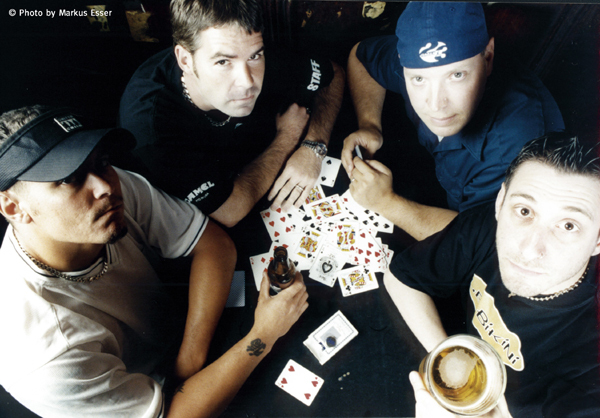 The song Blowin' Smoke was the only song released as a single by the band. 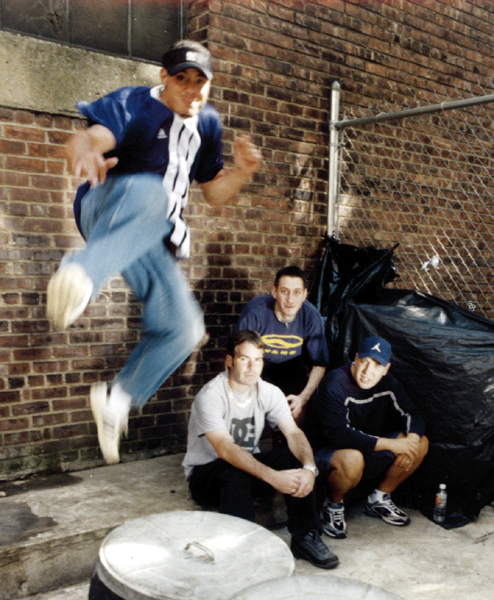 In the last months of 2002 ABK went on tour in Europe with the Eastpack Resistance tour 2002 after having played several club shows in the New York / New Jersey area. 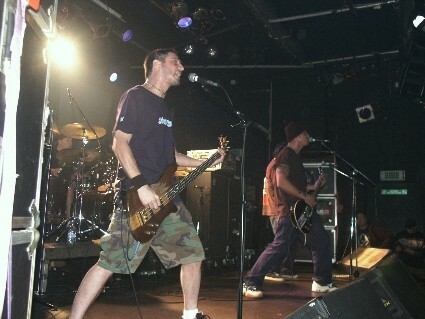 Together with Biohazard, Hatebreed and Agnostic Front the band played several dozen shows in Germany, Belgium, Austria, Switzerland and the Netherlands. After the tour the ABK kept on playing shows in the New York / New Jersey area all through 2003 and 2004. 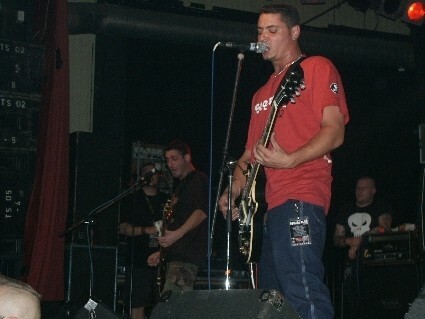 At the end of 2004 the band decided to split up. 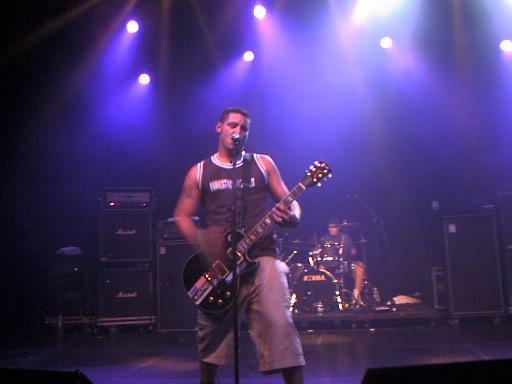 Talks about a possible second album did take place, but were unfortunately never carried out. Dave Neabore and Sean Kilkenny went on recording a new Dog Eat Dog album, called Walk With Me, which was released on July the 23rd of 2006. In 2005 the official band website was changed one last time, showing just a simple message: "Thanks for the memories!!"